Our biggest issue of Pure Nintendo Magazine is out now and features a number of great articles exclusively on the world of Nintendo! 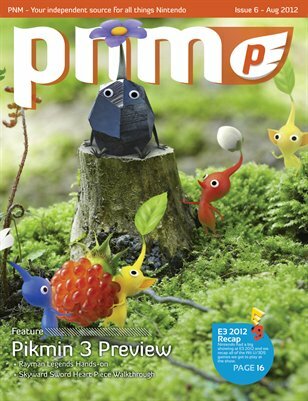 We go in depth hands-on with Pikmin 3, Rayman Legends, and many more Wii U games from E3 2012. Also featured in this issue is a Legend of Zelda Skyward Sword Heart Piece Walkthrough and QR Codes to unlock exclusive Mario Tennis Open (3DS) and Pushmo (3DS) content. Check out concept art for Epic Mickey: Power of Illusion and find out the history of Marth and the Fire Emblem franchise. It's our biggest and best issue yet! Let us know what you think by emailing us at magazine@purenintendo.com.